I've been using this dry pack for both personal trips and professional guiding for seven seasons. It's perfect for a solo paddler who packs heavy (or carries extra for guiding) or for a duo who can pack conservatively. 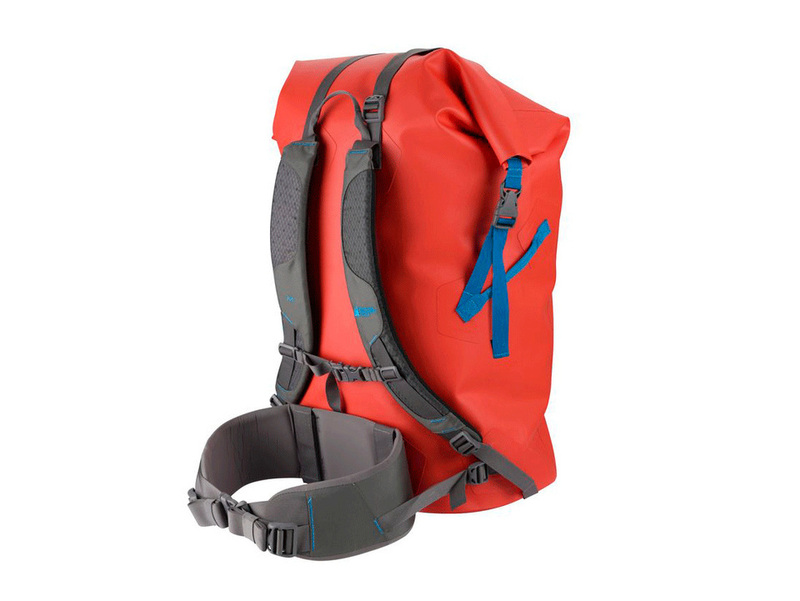 The shoulder straps and waist belt are ideal for portaging. Roll-top opening is held securely with a buckle and straps.